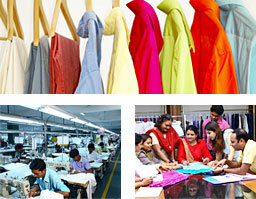 The woven division of Richa Group is equipped with state-of-the-art technology. Leveraging on its technical superiority and the expertise of the professionals, this division has achieved an in-house annual production capacity of 15 million pieces. A skilled workforce experienced in Computer Aided Design and manufacturing systems is carrying out responsibilities with dedication and cooperation. Keeping abreast of the changes in the industry it is continuously upgrading itself. Requirement of the clients is one of the foremost elements that determines the specifications of the products. The preferences of the clients vary from place to place. Besides, it keeps on changing from time to time. Keeping an account of all these aspects, the woven division of Richa Group manufactures the products as per the market demand. To position itself as a truly world-class manufacturer, the woven division strives to achieve global standards in quality, cost, service and scale of operation. It is using innovative technologies to manufacture the finest products at reasonable cost. Richa Group enjoys a technological advantage making it the choicest destination of the clients for readymade woven garments. Through a wide range of woven products, Richa Group has earned the goodwill of reputed brands from across the globe. Today, it boasts of its prestigious clients who are importing products from it. Every year it is creating a newer image for itself by offering innovative woven products. Richa Group is exploring new markets of its woven products across the world with a rich heritage, contemporary professionalism and high-end technology.